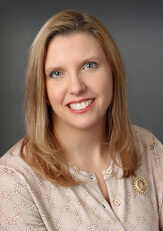 Julie A. Boehmke | Fafinski Mark & Johnson, P.A. Julie began her work in the legal industry more than 20 years ago. Working in administration, she uses her legal knowledge, interspersed with experience in banking and administration in higher education, as a foundation to effectively address the challenges faced by law firms. She assists the firm with their HR needs, recruiting, and staff management. She also manages operations, technology, and IT needs for the firm. Julie and her husband live on 40 acres in the south metro with their children. When she isn’t wrangling with “country living,” Julie likes reading, enjoying great food, and spending time with friends and family.